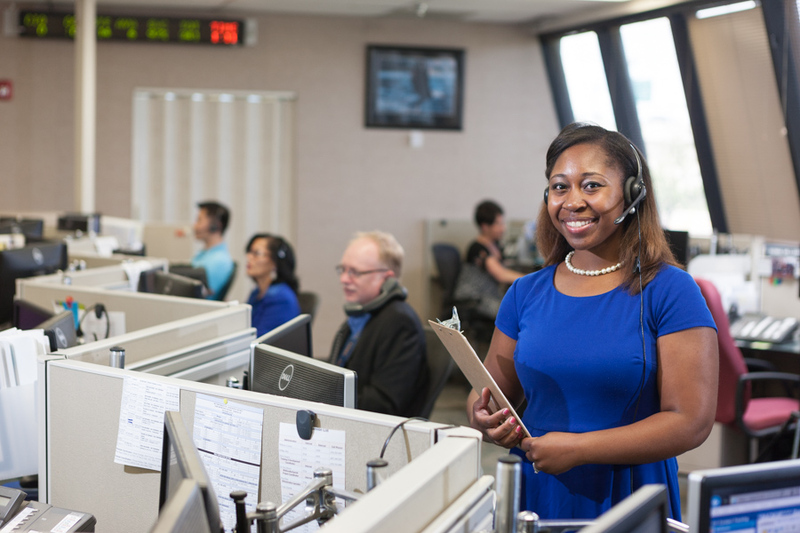 For Orange County residents, customer service in government is just three digits away. Orange County’s 311 help and information line is a convenient way for residents to report local non-emergency incidents and to connect with local government seven days a week, Monday through Friday from 7 a.m. to 9 p.m. and on weekends from 9 a.m. to 5 p.m.
311 provides access to government resources and ensures resident concerns are addressed via phone, online chat or smartphone app. 311 enhances accountability in government by offering citizens an opportunity to provide feedback on government services and voice concerns about service issues in the community. Reports to 311 can be submitted anonymously. However, residents who provide their contact information will receive a case number to view the status of their reports to ensure proper resolution. During the last ten years, over three million citizens have contacted Orange County 311. On average, 311 receives 320,000 calls annually assisting with neighborhood inquiries, traffic signal matters, road maintenance and much more. In August 2018 alone, 311 received approximately 28,710 and had a 97 percent call answer rate. 311’s top calls from citizen’s include animals, neighborhood and housing, traffic and transportation, permits and licensing and general information. Orange County’s 311 engages in continual preparation to ensure its readiness to respond during public safety events. A robust training program guarantees all 311 specialists and call takers are certified through the Federal Emergency Management Agency (FEMA). During emergency activations, such as natural disasters, 311 operates 24 hours a day. In all phases of an emergency, 311 works closely with the County’s Emergency Operations Center to ensure information between County leadership and residents is efficient and streamlined. During a hurricane for instance, 311 is available to provide preparedness and recovery information before, during and after a storm. Sandbag distribution and shelter information are the most frequent types of calls prior to a major storm. In the days following a large tropical occurrence, debris is the primary area of concern. 311 can assist residents with reports of fallen power poles and trees, traffic light outages, debris drop-off sites and removal information. Recently, 311 announced it is expanding services to provide support to the District 9 Office of the Medical Examiner (ME) and Orange County’s People with Special Needs (PSN) program. A specialized group of critical call takers have been trained and are prepared for handling sensitive matters dealing with PSN calls and mass casualty situations. 311 will become the PSN Central Call Center, proving continuous PSN-related call assistance year-round and during emergency events. Their services will include managing pre-storm online registration calls and assistance with online PSN registration. 311 will also assume the responsibility of the ME/Florida Emergency Mortuary Operations Response System (FEMORS) Central Call Center to manage all potential victim identification calls and work as a continuous data liaison with FEMORS. Visit Orange County 311 online at www.ocfl.net/311 or call by dialing 311 within Orange County or 407-836-3111.